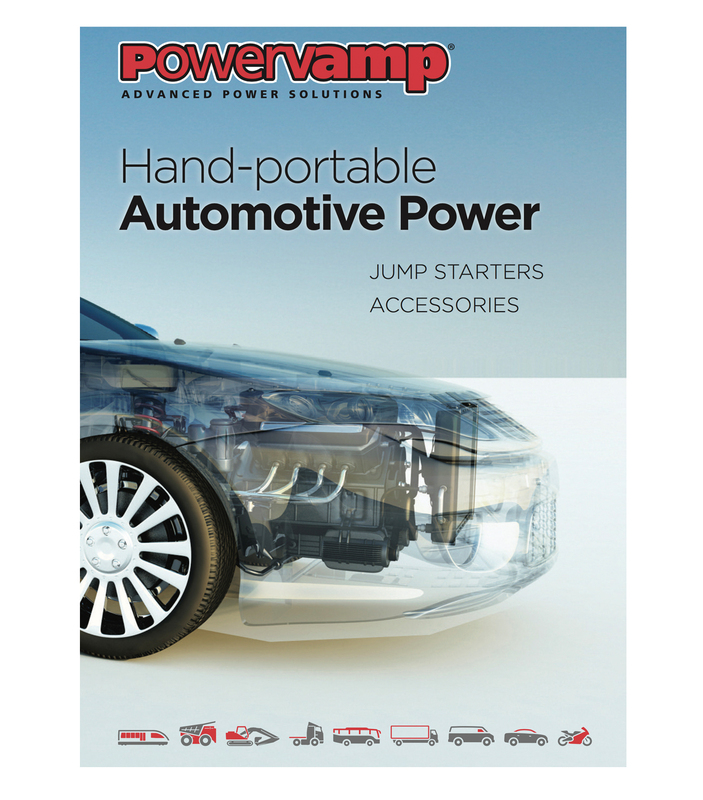 Powervamp is pleased to announce the launch of its new 2017 automotive product and accessories brochure. The brochure contains detailed specifications of its range of 12V, 24V and 12/24V battery jump-starters as well as spare parts and available accessories. The brochure launch is part of a new campaign designed to re-connect with Powervamp customers and to remind the industry why Powervamp is still the no.1 designer and manufacturer of professional jump-starting equipment. As part of the campaign new service options, menu pricing, loyalty discount and special deals will be offered to customers, (details will follow in the next few weeks), to offer a more flexible and rewarding service from Powervamps automotive division. Powervamp – Always Startin’ Something!